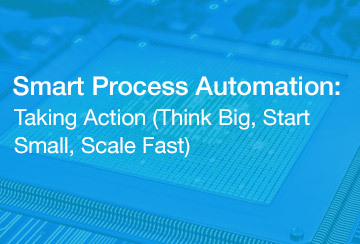 WorkFusion is the leading smart process automation solution for enterprise operations. Global businesses in every industry use WorkFusion to automate high-volume, labor-intensive business processes through a combination of workforce orchestration, robotic process automation and machine learning powered cognitive automation. These capabilities enable customers to improve customer service, increase operational agility, and reduce costs. WorkFusion is headquartered in New York City with offices in London and Eastern Europe. If you are already an IRPA member Click Here to download paper. If you are not an IRPA member please complete form below. Thank you for your interest, and as always, we are happy to answer any questions and discuss ideas that you may have after reading this paper.